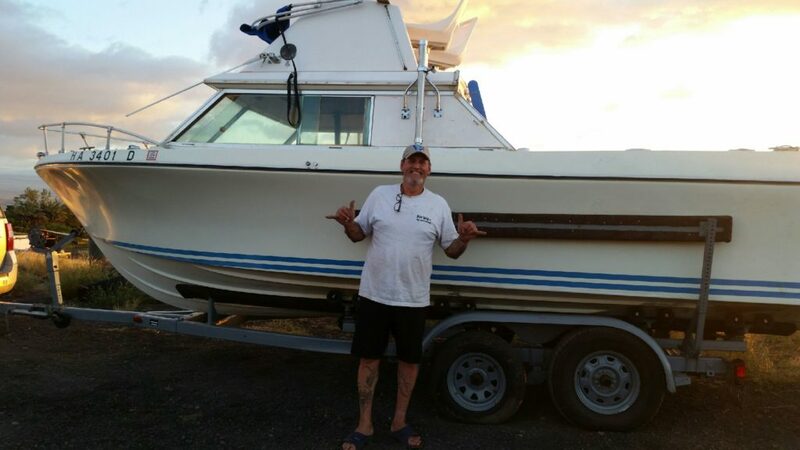 Veterans Fishing Foundation founder and Navy Veteran Cody McGuffin (above) with “Reel Mission,” a fishing boat donated by Dr. Rudoplh Puana of Kamuela. On Christmas Day, 2017, the Veterans Fishing Foundation received what could be the best gift possible for fishermen, a boat named Reel Mission, which was donated by Dr. Rudolph Puana of Kamuela, author of Red Headed Hawaiian. 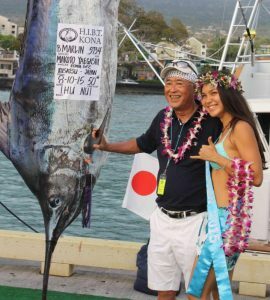 After the success of its first mission—a charter trip for veterans in Kona—the foundation decided to acquire a boat, either through purchase or donation, so that veterans on the Big Island could fish from it and sell the fish they caught. The money raised from selling the fish will be turned back over to the foundation to fund future trips. The best part of having a VFF boat here on this island is that any veteran who needs a day on the water to decompress or talk story with another veteran could coordinate with the VFF representative to fish in between foundation missions. Regular missions are anticipated to be scheduled every three to four months—but the Reel Mission can be used for fishing almost everyday. “As the VFF representative in Hawai‘i, I viewed several boats over the course of the month or so between Veterans Day and Christmas, but it was when I met Dr. Rudolph Puana, the author of Red Headed Hawaiian, that our organization received the blessing we had been hoping for. Rudy took the time to show me the boat on Christmas Day and after hearing what we do and what our goals are he didn’t hesitate to provide us with a beautiful boat as a gift. That boat named the Reel Mission will play a part in our upcoming Kailua-Kona Mission, which kicks off on Monday, Feb. 5, and runs through the 16th. 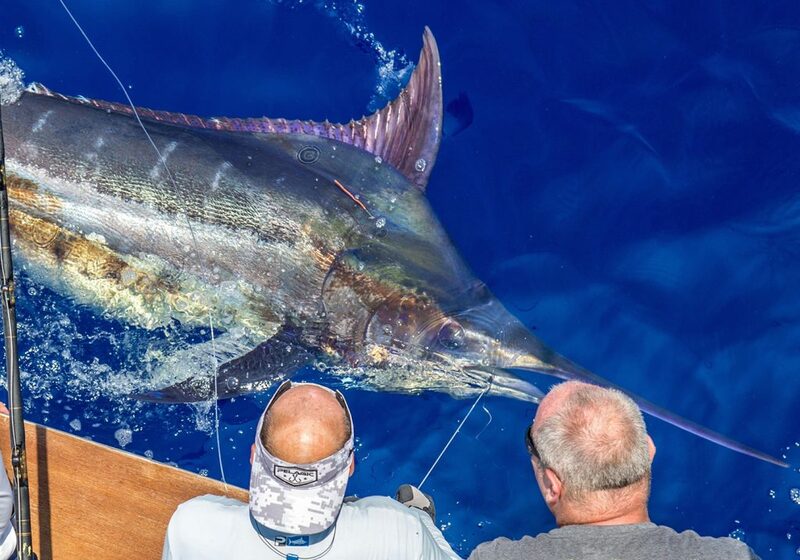 VFF and the captain and crew of The Ku‘uipo at Ku‘uipo Sport Fishing will provide at no cost trophy fishing charters for veterans Monday through Friday, Feb. 5 through 16, 2018. Lunch and drinks will be provided. The charter boat will leave Honokōhau Harbor located at 74-380 Kealakehe Parkway in Kailua-Kona at approximately 6:30 a.m. daily beginning Monday, Feb. 5. VFF provides Veterans of all service periods with chartered big game fishing trips so that they may experience the elation of catching a trophy fish, an experience they may have never been able to have otherwise while forming friendships and building support networks with other Veterans and community members assisting with reintegration into their respective communities.